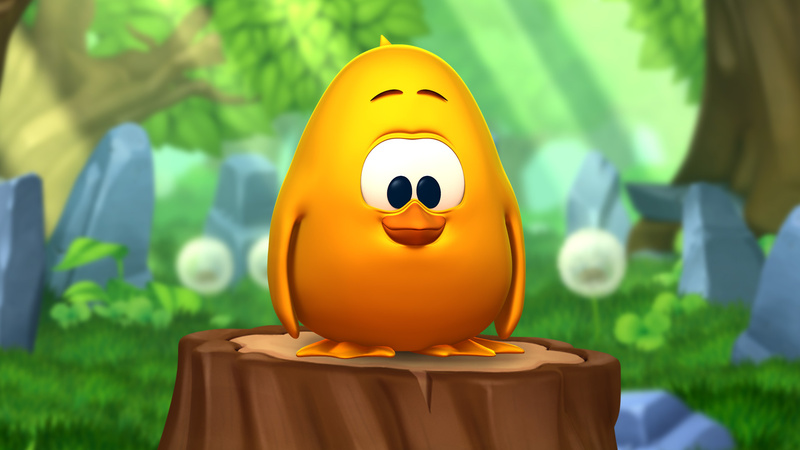 A brief history on the development of Toki Tori. Toki Tori was a puzzle platformer originally launched on the Game Boy Color back in 2002 as a pseudo-remake of an MSX title called Eggbert, but it didn't sell too well due to being released late in the console's life. In 2008, Toki Tori was ported to Wiiware and was one of the first titles available for the service; however, shortly after this, a PC version came out which was cheaper, featured HD visuals, and had several additional levels and bonus content included. 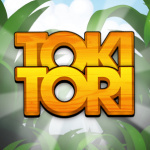 Not ones to leave Nintendo fans out, Two Tribes eventually brought this PC version of Toki Tori to the Wii U eShop, albeit without the level editor. Now, it appears that the long chain of ports Toki Tori has gone through will continue on still, with the game set to make an appearance on the 3DS eShop. Rather out of the blue, Two Tribes announced on Twitter recently that they and Engine Software were making good progress on a 3DS port. There's no information as to what content will be included or what territories it's coming to first, so we'll keep you posted as more information becomes available in time. Perhaps if this port sells well, Toki Tori 2+ will be considered for the portable, too. What do you think of this? Will you be buying Toki Tori on the 3DS? Share your thoughts in the comments below. The game has always looked pretty cool, but a lot of people seem to have been burned by the Wii U parity issues with the PC version. Seems pretty hard to believe that the Wii U wouldn't be able to do a level editor (seems like the perfect console next to a PC to include such a thing, actually) but I'll still keep an eye on this. Already got it and completed it on both Wiiware and Wii U, no point buying it again. Are the GBC, WiiWare and Wii U versions all different to each other? The stage themes are the same but are the stage layouts? Oh coolies! Is it a remake of the GBColor game, or is it a different one? It's a remake of the GBC game. I was actually surprised at how similar they are when I bought the GBC version on the Virtual Console. The remake does have some added levels, but most of the content in the remake is already present in the original. The original also has an insanely badass chiptune soundtrack which I actually prefer over the remake (but the remake sounds quite good as well). Anyway, it's good to hear that Two Tribes hasn't forgotten about Toki Tori. I'm a huge fan and I was really sad when they announced that they were killing the series. I probably will pick this up, haven't got a game for my 3DS in a long time. Sweet, I'll definitely be getting it. Cool. I personally prefer the first toki tori over the second (the map/layout I found a bit confusing, so never made much progress.) If it follows the budget pricing of their other 3DS releases, I may just buy it again. I already have this on Wii U so probably not. Incidentally, I completed Toki Tori 2+ today. Everyone should check out that game. It's amazing. It would be awesome to have that on the 3DS too. something new please, mmm kay thanks. @accc That's cool, though now I can't decide if I should get the VC 3DS game, or wait for this one to come out instead now. I always thought this belonged more on 3DS than it did on the Wii U, but nevertheless it's a fun game that made me want to snap my Gamepad in half out of frustration a few times. Still haven't completed it, and I don't think I'll be double-dipping here. I feel they should just let this particular franchise disappear. Didn't they come out last year saying it was a massive failure on the WiiU? I bought it on the WiiU when it came out and got bored pretty quick with it. same with the vc game. @Bass_X0 I haven't played any of them, but my understanding is that the Wiiware game was a straight remake of the GBC game and the Wii U version was mostly the same, but with further enhanced visuals and a few extra levels. Have already bought the GBC VC Version and i'm happy with this. So, this version is enough for me, don't need more. It may finally be time for me to try this game. A lot of people seem to like it. Seeing as I already own it on Wii U there is really no reason for me to purchase it again. Good for a start. Now give us 2+ as well. Ouch. I feel like the fact that they waited so long might hurt sales. Its already been on Wii U for a while, and the 3DS is getting old. They should've done a 3DS version first. I hope it does OK. I'd get it, but there'd be no point. I've already beaten it on Wii, PC, and Wii U. I'd just be wasting money at that point. Everyone should get this, whether you have a 3DS or Wii U. It's a good game that kept me occupied for hours. That's worth $2. Toki Tori is a sweet game, if you haven't already played it. Much better than its "sequel."